GPS Commercial is your solution to all commercial real estate services without the restriction of any particular suburb. We provide local service with a national presence with listings and selling of new and old commercial offices, warehouses, industrial units, undeveloped land, acreages and DA approved development sites to our large database of developers and investors. We work with a vast network of like-minded professional commercial agents to make the sale or lease of your commercial property as fast and as cost effective as possible. When listing your property with GPS Commercial, you are listing it with a vast network of agencies at once, but getting updates and reporting through the one point of contact, making communication easy and as stress free as possible. We incorporate proven, professional state of the art marketing strategies, which are both online and offline. GPS Commercial maintains full-time well trained real estate professionals who continually strive to provide top quality service for their individual clients. GPS Commercial is a creative, innovative and people-oriented organisation providing sellers and buyers real results. 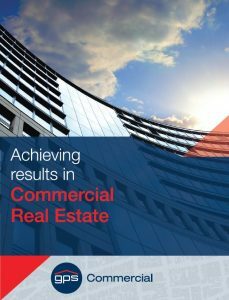 GPS Commercial always endeavours to make the buying and selling of real estate as cost effective as possible while maintaining the highest level of service and providing accurate and up to date information, skilled analysis and sound real estate advice. We continually explore new ideas and technology with the aim of making all real estate transactions a profitable real estate experience rather than just a sale or purchase. Email marketing campaigns to our database of clients and investors Australia wide, in excess of 17,500 emails. We advertise your property on all major real estate and social media websites. The team at GPS Commercial look forward to further assisting you with your commercial real estate needs.